With all the rain we have had in Florida this spring– you might have an unexpected snake encounter in your home, garage or business. If you are in the Fruitville area or anywhere in Manatee/Sarasota counties. We can help! Would you like more info or a free estimate? Click here>>to contact us now. Snakes are on the move to higher ground after much rain in Florida this spring! 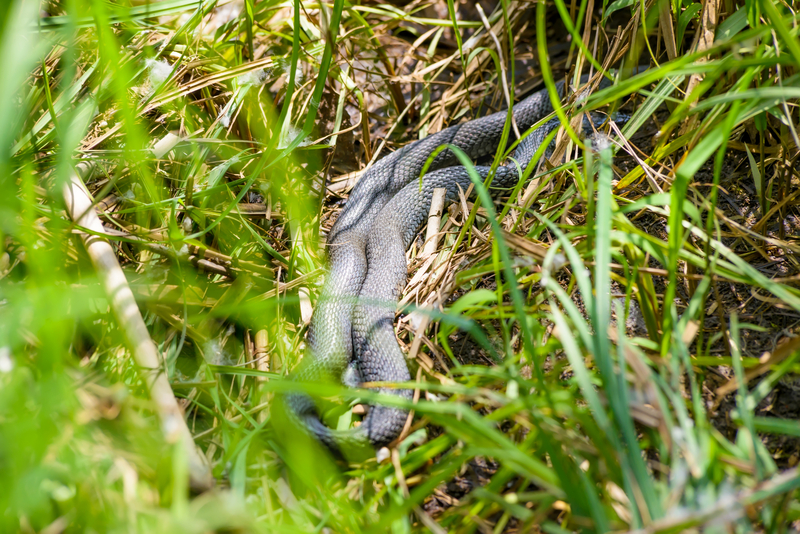 PINELLAS COUNTY, Fla. — Snakes are on the move and you can blame this mid-May rainfall. Several trappers in Tampa Bay tell us they’ve been busy with calls of snakes seeking higher ground in people’s yards and homes. Weldon Wildlife Removal even found a Southern black racer snake in a tree and a coral snake inside a hole in an aluminum bench outside of a local Walmart. They’ve received dozens of calls over the past week of snakes under homes, snakes in porches and even snakes in dryer vents. The rain is forcing snakes out of their holes in the ground and into your yard. It’s also mating season, which means snakes are even more likely to come into contact with people. With more rain in the forecast, trappers expect calls to pick up. Weldon says only about 10% of the calls he receives are for venomous snakes, like cottonmouths or diamondback rattlesnakes, but that doesn’t make his clients any less panicked. “We usually have to call them down on the phone just to get their address where the snake is located,” he explained. Marten Davis accidentally let a snake into his St. Pete home on Saturday. He stepped outside to fill the bird seed containers and says he must have stepped right over a snake, startling it and allowing it to slither into his home. “My wife yelled ‘There’s a snake in the house! She was in a panic and her hair was on fire!,” he explained. Davis immediately called a trapper to get the Southern black racer snake, which is non-venomous, back outside. “They’re really good to have around, but not in the house. My wife said she wouldn’t sleep in our home until she knew it was gone,” he added. Trappers were able to find the snake hiding under a box inside the home and moved it into an outside bush. “My wife wasn’t real happy about that!” he laughed. Experts recommend checking your yard first before letting children or pets out to play. Also be careful when moving your garbage cans or potted plants because snakes like to hide under them. Wear shoes when you go outside and avoid reaching into areas that are hidden or concealed without taking a close look first. Snakes may also hide behind rocks or logs. While some of the snakes trappers report finding are poisonous, most of the ones they discover are not, and can actually work as pest control around your home. South Florida and areas around Orlando also report a big increase in snakes being spotted due to the recent rainfall across the state. Call Nuisance Wildlife Removal, Inc. today, to humanely solve your snake problems, and snake proof your home! 1-866-263-WILD or 941- 729-2103. Feel free to ask us any questions. Click here to send us a message! Below you will find images that represent the NATIVE venomous snakes of Central Florida. This is a starting point for understanding the colorings, markings, and behaviors of these animals. Each image connects you with a page that has a more thorough description of the snake it represents. Please be aware, that this is a representation of native animals and does not include any exotic snakes that come in via the exotic animal trades, pet stores and the like. Click on any of the above photos for more in depth info! For more information or a FREE ESTIMATE on snake removal please call 1-866-263-WILD or (941)729-2103 and speak with a trusted professional. We would like to be your local expert and learn about your current situation. Call us now! We specialize in humane wildlife trapping and we take pride in using the most advanced technology which is the least invasive to you and your property.